Life can feel like an uphill struggle sometimes. 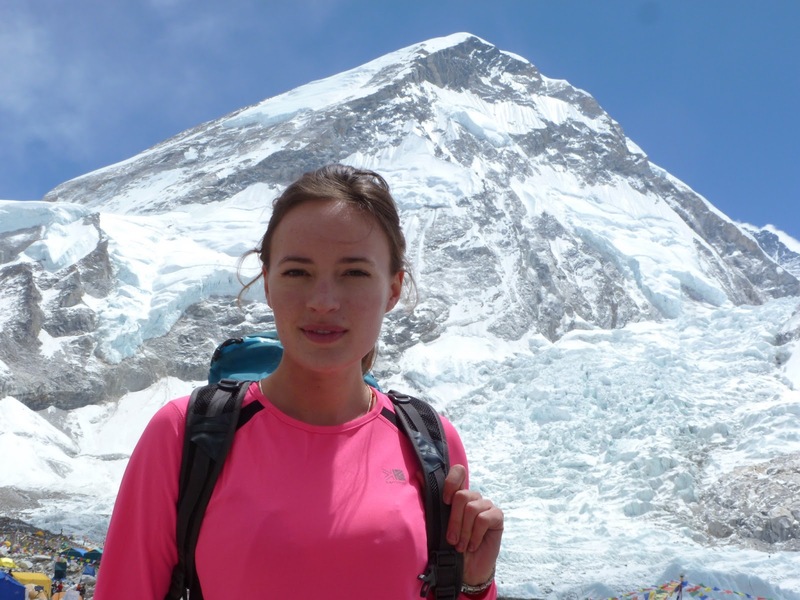 At the age of 22, Bonita Norris embarked on a literal one, as she became the youngest British woman to scale Mount Everest. Hanna sits down with the climbing inspiration and gets her to open up about why she undertook such a gruelling expedition. When did you start climbing and why? I was 20 years old when I climbed for the very first time. I wanted to learn how to climb so that I could climb Mount Everest, but now I do it just because I love it – it’s my passion, my sport, it’s what all my friends do, and it keeps me fit too! What advice would you give girls and young women who want to take up climbing, but have never done it before? Book yourself onto an indoor climbing course – that’s what I did. That way you will make friends with people more experienced than you, who you can go outdoor climbing with once you’ve learnt the basics. I’ve always tried to learn as much as possible from other climbers, and now I find myself passing on my knowledge to others. Did people try to put you off climbing Everest – what did you say to them? Everyone, as it seemed like such a crazy idea! My dad was my only support, although my mum did support me by letting me live at home while I pursued my dream. It was always a deadlock argument. I just remember thinking “I can’t wait to prove you wrong; not to win an argument, but to open your eyes to the possibilities we all have within us with enough hard work and dedication”. Suffice to say, they are all now very proud and hopefully see the world slightly differently. Was there any point during your Everest climb that you wanted to give up? What made you carry on? There was no point when I wanted to give up, but I did question myself and the environment all the time – I was always ready to turn around. I had to take everything one step at a time; if the risk changed I had to adapt, but the trip was wonderful, glorious – everything I dreamed it would be. There have been some expeditions when I have considered going home. The most recent was on Lhotse in 2012 – we saw two big avalanches and the body of a climber in the space of two days, and I wanted to leave almost out of respect. Then a team of 60 climbers left because they said the mountain was too dangerous. We were a much smaller team; we hung on and made the summit a few weeks later. Mentally, it was the toughest few weeks of my life. I really had to believe in myself and my abilities, and I’m thankful I did, as it all came good in the end. Do you think sport is encouraged enough in schools? Unfortunately, I don’t. I think that PE is getting squeezed more and more by busy timetables. I think PE teachers do a great job, but they are battling for time. I think part of the problem is a lack of promotion of sport in schools – I work as a sports ambassador visiting schools, with the aim of inspiring young people to challenge themselves in the outdoors. I wasn’t the sportiest kid, so I can understand how difficult it must be for PE teachers. I think the Duke of Edinburgh Award is a great way to get kids that aren’t the fastest or most agile outdoors. What have you been doing since your Mount Everest climb – are there any more expeditions in the pipeline? Since I started climbing five years ago, I’ve been on five Himalayan expeditions, where I’ve climbed three mountains over 8000m. I was also lucky enough to jump on a last-minute expedition to the North Pole in 2011 and lead charity teams to the summit of Kilimanjaro on two occasions. It sounds like I’m talking about someone else’s life. I feel so lucky to have done all these things and, ultimately, when I look back, I don’t remember the suffering or the bad times – I just remember the great moments, the incredible views and the feeling of achieving something I wasn’t sure I was capable of. I’m now working as a TV presenter on the Red Bull Cliff Diving show on Dave, which is another adventure in itself! For more info on Bonita’s latest expeditions, visit her Twitter page. This entry was posted in People, Sport and tagged Bonita Norris, climbing, inspiration, Mount Everest, mountain. Bookmark the permalink.